Malala Yousafzai — the world's newest and youngest Nobel Peace winner — continues to be an amazing role model for women and girls everywhere. Malala donated $50,000 to rebuild U.N. schools destroyed in Gaza, which she pulled from her prize money for the World Children's Award. According to NBC News, the schools were hit by Israeli shells during conflicts in July and August. During her announcement, she spoke of the importance of supporting Palestinian children throughout the ongoing conflict. Innocent Palestinian children have suffered terribly and for too long ... We must all work to ensure Palestinian boys and girls, and all children everywhere, receive a quality education in a safe environment. Because without education, there will never be peace. 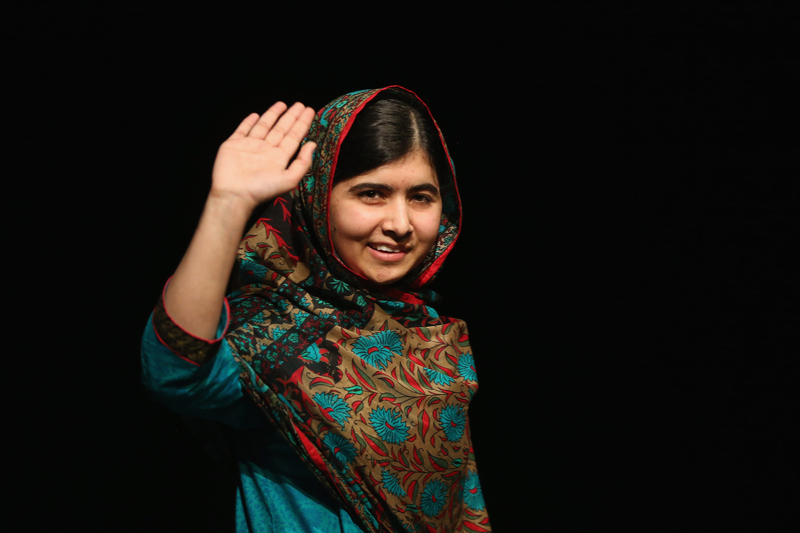 Yousafzai rose into prominence after she was shot in the head by the Taliban for advocating for women and girls' education. She used the tragedy as a springboard to begin a life of activism, and now tours the globe spreading her message. Women and girls' education is important to many of us (it certainly is to me), and you can advocate for it yourself. Most of us, thankfully, have not had her kind of life experience, but unfortunately, most of us also don't have $50,000 at our disposal. Here are some ways to take a leaf from Malala's book and help women get an education. If you want to donate directly to schools, UNICEF rebuilds education systems, builds schools, and donates mobile classrooms to bring education to underprivileged areas. You can donate money to help their mission here. World Vision knows half of all girls in developing countries don't even finish primary school, which is why it advocates for women and girls' education. You can donate any amount of money to help a girl go to school here. Girl Scouts aims to give girls education outside the classroom to build their confidence and character. If you want to do something a little more active to support girls, volunteer with your local troop to help them run events, or even become a troop leader yourself. Find out more about the Girl Scouts' volunteer opportunities here. GEMS is an organization based in New York for girls and young women who have experienced commercial sexual exploitation and domestic trafficking. They have a number of opportunities for volunteers and donors, including projects that range in size. Learn how to get involved with GEMS here.